Aris express did not start. When i install the Aris Express programm everything seems to be ok but when i click on the icon i become a error message: Unable to find a JRE in the specified directory. Please repair the settings in launcher.cfg and try again. The Problem is that there is no launcher.cfg file on my Laptop. So what could i do. Path value to *\jre\bin as given below and launched the application and it worked. I cannot start ARIS Express. 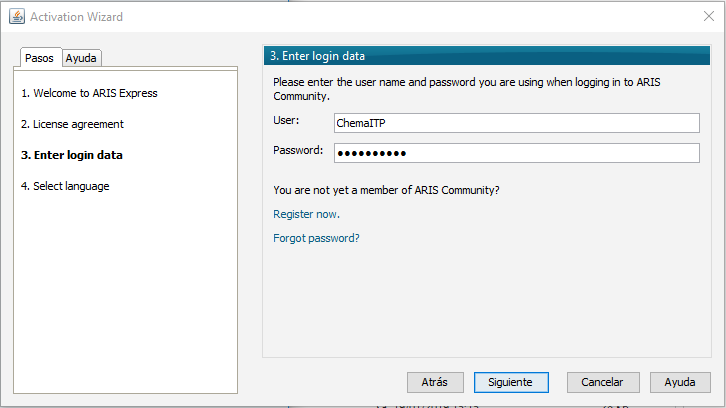 I have user and password for ARIS Community. I enter my User and Password in the Activation Wizard, but nothing happens. I think that application is trying to validate my user but it seems it is in a permanent loop and the window does not change for the next step "4. Select language". I do have the same problem and would be very interested in this problems solution. Hopefully someone knows the answer.